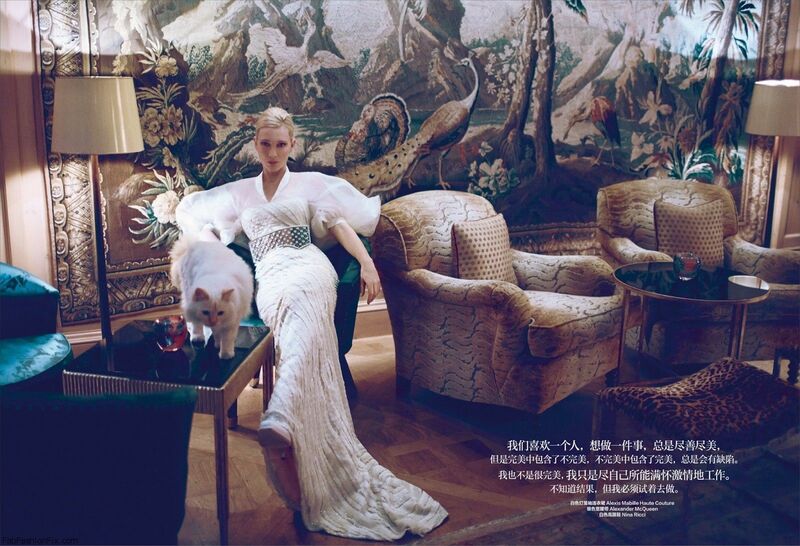 Australian actress Cate Blanchett stars at the cover of Harper’s Bazaar magazine China November 2013 issue. Photographed by Koray Birand and styled by Xiaomu Fan. For the cover image, Kate posed in Celine dress from fall 2013 collection while for the the inside editorials she posed in designs from Proenza Schouler, Louis Vuitton, Viktor&Rolf, Alexis Mabille and Giorgio Armani. Just two days ago, Cate was announced to receive this year’s Outstanding Performer of the Year award for her work in Woody Allen’s “Blue Jasmine”, at The Santa Barbara International Film Festival.